This tightly plotted and wonderfully written novel tells of the serious culture shock suffered by Balal when, overnight, he and his mother and siblings are suddenly relocated from Pakistan to the Washington, DC suburbs. 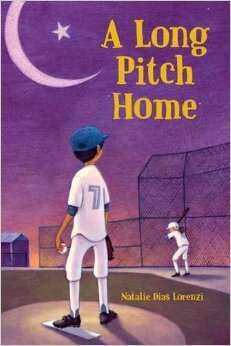 Bilal is just completely lost in this unfamiliar world of baseball games, ESL classes, and multicultural holiday sing-alongs, and Lorenzi captures his bewilderment in pitch-perfect, believable prose and dialogue. In the newest of her many masterfully written school stories, Claudia Mills explores the sibling relationship between sensitive aspiring writer Autumn and her brother, Hunter, whose sullen and disrespectful attitude toward Autumn and her parents is causing a lot of pain in their family. As Autumn aims to get published in a prestigious magazine, she also struggles with the idea of exposing her private thoughts about her brother and her crush, Cameron, to the world. I usually like Mills's work, but this one struck me as exceptional. Mills truly can be trusted with any story. In this celebration of male friendship, "nerds of a feather" Dylan and Rohit travel to Mumbai along with Rohit's parents to attend a family wedding. Dylan sees the trip as an opportunity to try new foods and prove to his dad that his interest in photography is more than just a passing fancy. For Rohit, the main focus of the trip is convincing his parents not to listen to Bua, his controlling aunt, who wants him to move back to India to finish school. 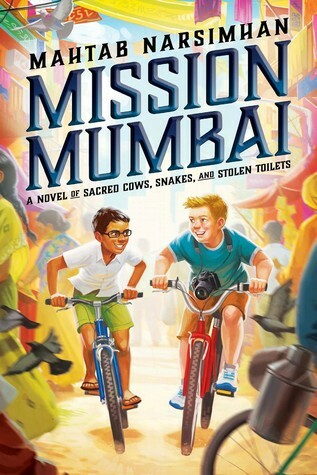 This is not only an interesting introduction to Indian culture but also an adventure story with humorous and exciting events which have particular appeal to pre-adolescent boys. More than any other book I read this year, this one understands how kids' minds work. 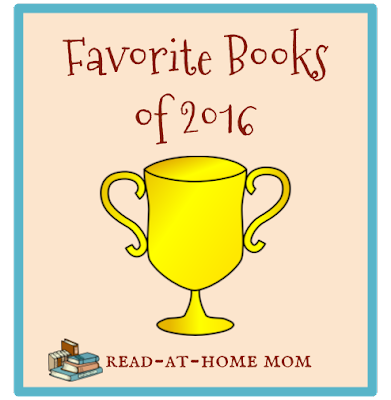 I read a review copy of this book in 2015, but it was published in 2016, so I'm including it on this list. When Jeremiah, who is physically unable to play baseball because of a heart transplant, moves with his adoptive father, Walt, to Hillcrest, Ohio, he helps the community recover from a steroids scandal by agreeing to coach a middle school baseball team. I almost never feel inspired by books which are meant to be inspirational, but this book's happy and upbeat main character who has survived against some pretty serious odds seems so incredibly real that it is impossible not to feel uplifted in some way by reading his story. Joan Bauer has written several really lovely books, but I think this is my favorite so far. In 1940, Charlotte (Lottie) Bromley and Kitty McLaughlin are best friends. Charlotte's father is a scientist who has discovered how time travel works. When both girls are kidnapped as part of a plot to coerce Charlotte's dad into giving up his secrets, the situation looks so grim that when a portal shows itself to Charlotte, she steps through into another time and place. Trapped in the future, Lottie does her best to assimilate into 21st century culture, but she never stops looking for Kitty, and hopes that she will one day see her again. This is a really compelling time travel story, but also a tribute to the power of friendship. It was so well-written, I just zipped right through it. Annabelle is the main character of this historical novel set between the world wars in a small Pennysylvania town. When a new girl, Betty Glengarry, comes to town Annabelle's previously calm and quiet life takes a surprisingly dark turn, as Betty begins bullying everyone from her classmates to Toby, the eccentric war veteran who lives on the outskirts of town. When Betty makes an accusation against Toby, and then goes missing, everyone in town assumes that Toby is responsible for her disappearance, but Annabelle is not convinced. 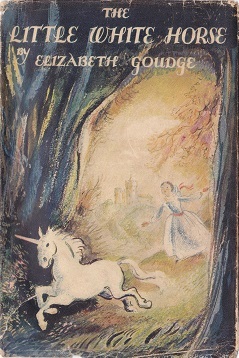 This author has previously written for adults, and some have argued that she has not transitioned well to the middle grade market. I disagree; this is a powerful book, and it will make a strong impact on the readers who give it a chance. 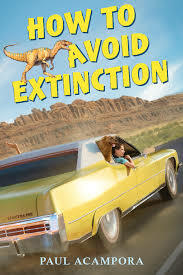 When Leo's widowed Gram and cousin Abbey decide to take an impromptu road trip across the country to see some dinosaur fossils, Leo tries to stop them, but quickly finds himself tagging along for the ride instead. As they travel, Leo begins to slowly piece together previously unknown details about his own life. 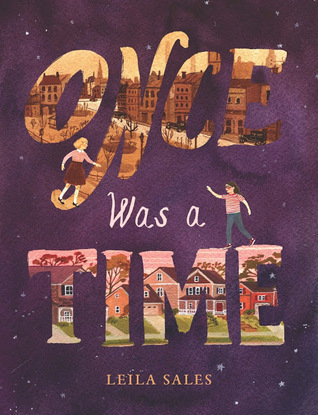 This is a great middle school novel that hits all the right notes: lovable main character, lots of heart and humor, unexpected detours, new friendships, and familial bonding. This was just a really unique and different story, and I found that refreshing. When twelve-year-old AJ is sent to stay with her grandmother for a month, the last thing she expects is to uncover the fact that Grandma Jo's bridge club is really a front for a heist society - or that she will soon be asked to join. The premise of this book sounds far-fetched, but the writing is so funny and clever, it was truly impossible to put it down once I got started. This book is proof that feel-good novels can be of solid literary quality. In this second story of the series, school is about to begin and Cody's new friend Spencer and his parents have just moved in with his grandmother, GG. 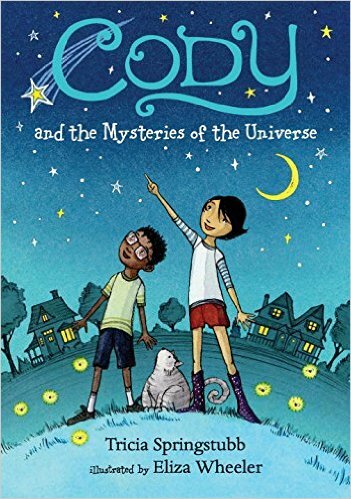 While Cody worries that Spencer might get a mean teacher, she and Spencer also become fascinated with GG’s next door neighbors, The Meens, who do things like kill bugs and crush soda cans with their bare hands. In the meantime, Cody’s brother Wyatt suffers from girl trouble, as his girlfriend Peyton Underwood keeps breaking up with him. Tricia Springstubb has become one of my favorite authors because of her excellent characterizations and beautiful, quotable descriptions. This book epitomizes everything I love about her writing. Max's parents are recently divorced, so now Max spends weekends with his dad at his new apartment. 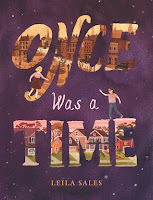 This first book about the pair covers the events of three weekends, during which they pretend to be spies, create a makeshift open mic night, and tackle the common cold and a school project with a little help from a neighbor. This book portrays a wonderfully warm father-son relationship without dwelling too heavily on the reasons for the parents' divorce. The writing is nuanced and emotionally resonant, and the characters are lovable and memorable. I also make it a point to read older kids' books. Below are the top ten backlist titles I read this year, with links to my reviews. I'm linking up with Top Ten Tuesday, hosted by the Broke and the Bookish. Lots of interesting titles here! I like reading kid fiction, too. I try to stay up on the Newbery Medal winners.